Virginie Esain is one of the moms who took part in a perinatal support pilot program out of the Southern JP Health Center. The program aims to prevent postpartum depression. It was their first night back from the hospital with the baby and Virginie Esain was distraught. Her newborn daughter was famished and wailing. Esain’s milk had barely come in and she was so sore that even when she could breast-feed, it felt akin to torture. Desperate and feeling beaten, she sent her husband out for formula. 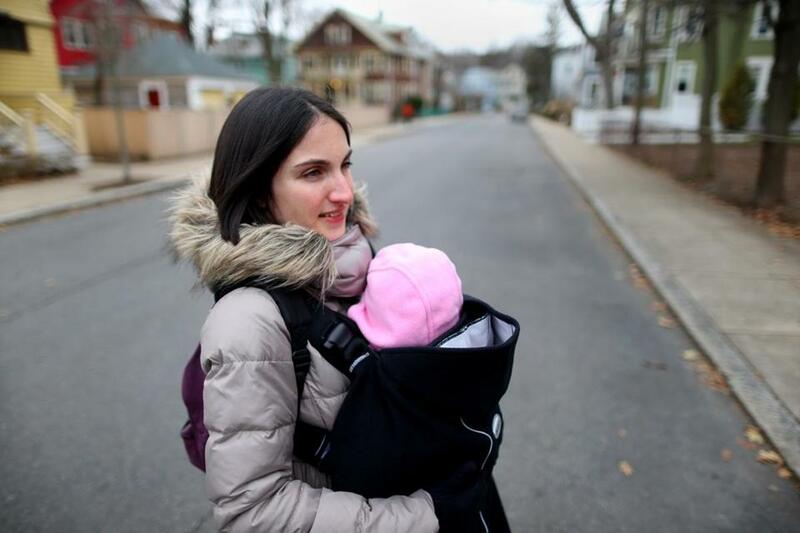 Esain, 32, a research fellow who lives in Jamaica Plain, had wanted to breast-feed her first child. But she hadn’t anticipated the physical pain that would come with it or the loneliness she would feel trying to raise a child in a city far from her and husband’s native home in Paris. At the baby’s first doctor’s appointment at the Southern Jamaica Plain Health Center, she confided her distress to the doctor. Two hours later, she was talking to a lactation consultant. In the days that followed, she would e-mail and talk repeatedly with Divya Kumar, a postpartum doula, who went to her house and listened to the new mother talk about her fears and frustrations. She helped Esain figure out which balms would soothe her sore breasts. She told Esain it was normal to hate those first few weeks of breast-feeding. Esain soon felt more capable and less lonely. She was one of hundreds of women across the state who took advantage of a free program designed to help new mothers deal with everything from breast-feeding anxiety to postpartum depression. In 2012, the state budget set aside $200,000 for a pilot program that screened women for postpartum depression in the first few days following the births of their children. The money was divided between four health centers across Massachusetts: Boston, Lynn, Holyoke, and Worcester and was intended to help women across all income levels. But former Governor Deval Patrick slashed the funding in a round of cuts from the 2015 fiscal year and now health centers in all four cities are scrambling to find a way to keep the services going. The loss could result in layoffs of health advocates who worked closely with new mothers or cutbacks in the hours devoted to screening for depression. In Worcester, the funding supported a child health program that provides prenatal care for 600 low-income pregnant women each year and helped care for mothers and 520 infants in 2014. Because of the screening, health care providers learned not only of women who were coping with severe depression, but of women who were trapped in abusive relationships and had no family to help them. Kumar said such support is crucial to everyone from low-income, single mothers who cannot afford a lactation consultant to women whose partners must return to work after a couple of weeks leaving them alone with a new baby. 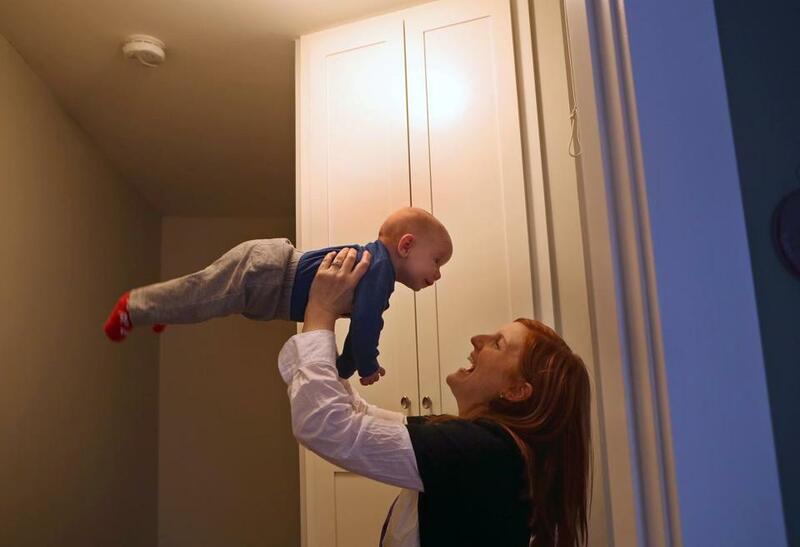 Almost three months ago, Lori Murphy, a 40-year-old health care consultant in Roslindale, gave birth to a nearly 9-pound boy with a voracious appetite. Murphy, who had breast reduction surgery in her 20s, knew that she wasn’t producing enough milk to satisfy her son. That frustration, coupled with the unbearable pain of breast-feeding, almost made her give up. Murphy was terrified that Kumar would come to her house, see the formula on the counter and the bottles drying on the rack and make her throw them out. A program that provides that kind of help is worth fighting for the small amount needed to sustain it, said Story, who plans to meet with newly elected Governor Charlie Baker soon. She said she will ask him to restore the funds. “It was so little money and it affected so many people,” Story said. Baker spokeswoman Elizabeth Guyton did not say whether Baker would restore the funding. Lori Murphy of Roslindale, with her son Graham Abeita-Murphy, received perinatal support from Divya Kumar, a postpartum doula.